Yeah Brooklyn! Only a 30-minute subway ride from midtown Manhattan, with its own newly renovated subway station, the museum is part of a complex of nineteenth-century parks and gardens that also includes Prospect Park, the Brooklyn Botanic Garden and the Prospect Park Zoo. 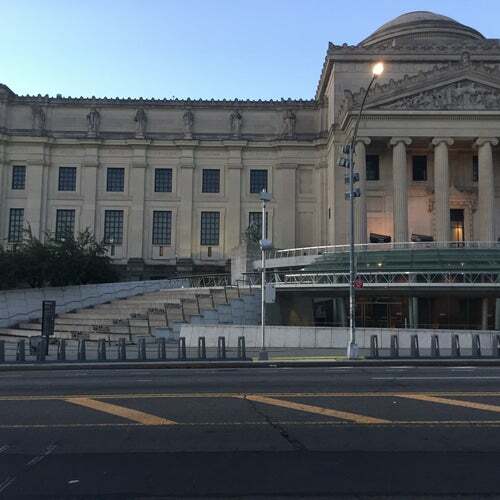 The Brooklyn Museum aims to serve its diverse public as a dynamic, innovative and welcoming center for learning through the visual arts. The Brooklynn Museum is the museum to visit in New York. No massive crowds, plenty of space to view the exhibits and outstanding collections any world class museum would giver their eye teeth to have. Blown away by Judy Chicago's "the Dinner Party" and the collection of rooms from various New York mansions and apartments that have been collected over the last 100 years.